Planned new sea defences at a North Norfolk coastal erosion hotspot seem to have spit the community. The latest move to solve long running problems at Happisburgh have been welcomed by a local action group, but attacked by the parish council. A new £700,000 rock groyne project was unveiled at a public meeting in the village at the weekend. But while campaigners are backing the scheme as a partial solution, parish councillors say it is a waste of money and fails to address escalating problems in a vulnerable area. Council engineers say the new scheme – cheaper than previous defences which failed to win Government funding – stood more chance of success. It would partially help by building up the beach to provide more protection for an area where a large bay has formed in its unprotected soft cliffs after farmland and chalets tumbled into the sea in recent years. Malcolm Kerby, co-ordinator of the Coastal Concern Action Group, said villagers would be relieved some sort of solution was in the pipeline, even if it did not completely resolve the situation. “The latest scheme does not answer all our concerns, but we live in the real world,” he added. However, a meeting of the parish council has aired concerns and is calling for a meeting with MP Norman Lamb over the issue. Parish council coast protection spokesman David Will said they felt the new scheme was “dumping more money into the sea to save a few chalets” when the rate of erosion into local farmland near a caravan site and the village’s famous lighthouse was being lost at an increasing rate. He said the council had spent £800,000 shoring up old defences over the past decade, which was far beyond the value of the property they were protecting – yet they were struggling to financially justify a scheme which would prevent flooding into the Norfolk Broads. North Norfolk District Council engineer Peter Frew said the new scheme was cheaper than the £2.5 million price tag of previous projects to put rock armour along the beach and cliff bottoms. But it would trap sand to build up the beach and protect the cliffs. He was keen to get the project off the ground before a change in government funding guidelines, which could make it even harder to win grant aid. Parish councillor Mr Will said they were unhappy with the scheme, and also concerned it would fall foul of environmental objectors as others had in the past. They wanted to meet Mr Lamb to find a way forward. The MP said he would be happy to meet all parties in bid to find a consensus over the issue, as he felt everyone was seeking similar aims. He is also raising the general issue of coast defence funding in Parliament, calling for the Government to ensure there is enough cash to meet demands, and for policies to take account of rural issues. He says the current policies based on urgency, urbanisiation and cost-benefit analysis do not help channel funds where they are most needed. 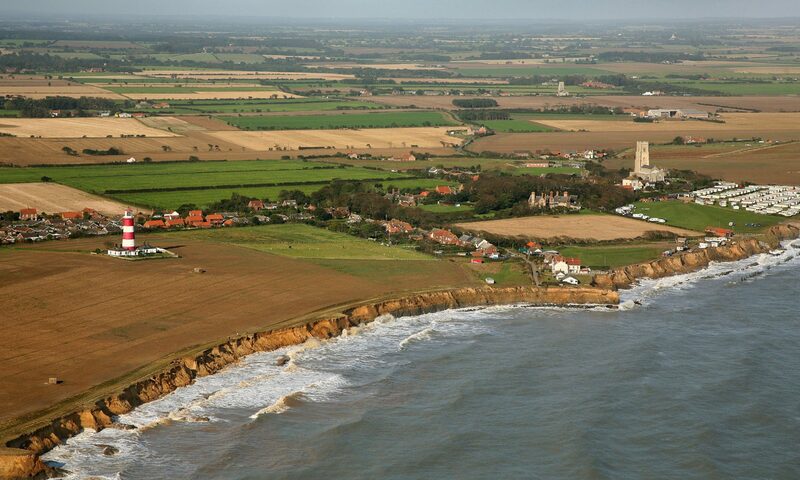 The problems facing Happisburgh in its battle with the sea are highlighted on television tonight. BBC 2’s Matter of Fact documentary at 7.30pm looks at the erosion, and talks to villagers, campaigners, environmentalists and coastal defence experts about the problems and opinions for solutions.